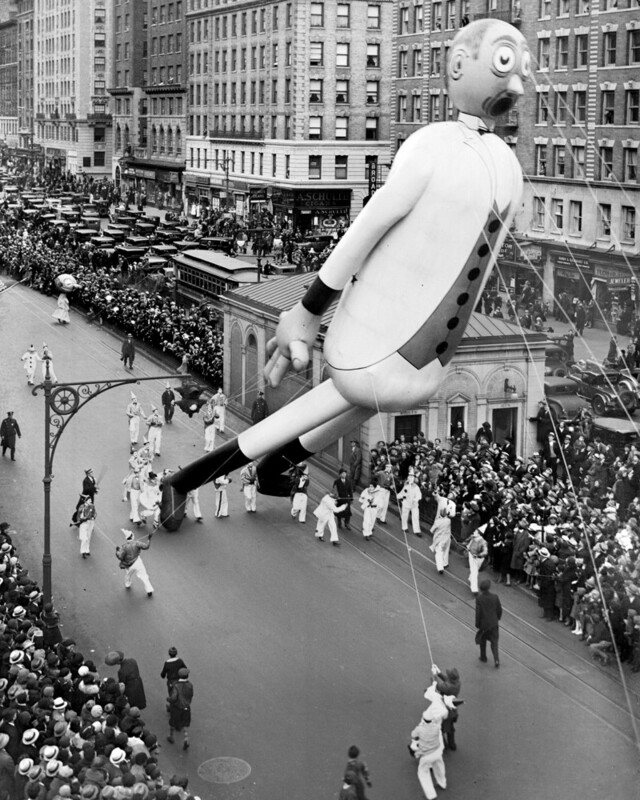 First held on Nov. 27, 1924, the relatively small event was called the Macy's Christmas Parade, and it featured the store's employees, live animals, and a couple thousand spectators. 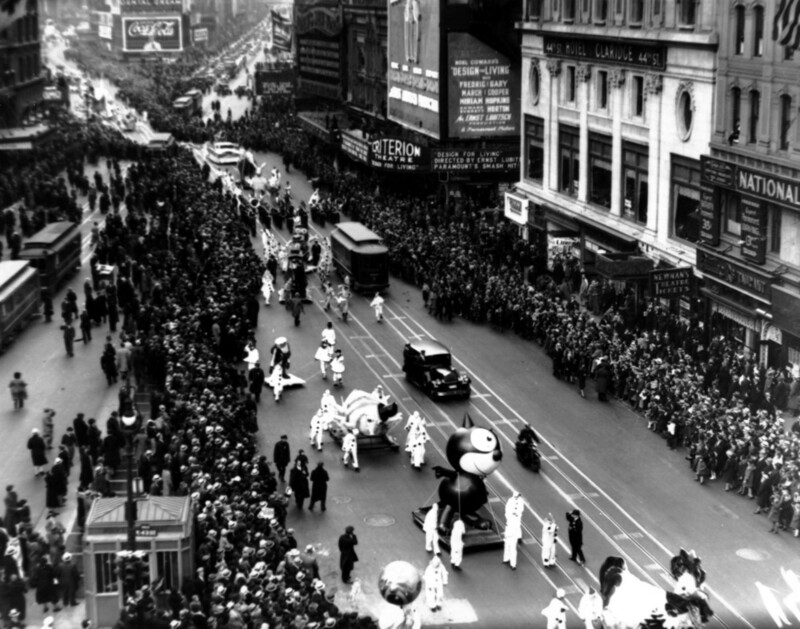 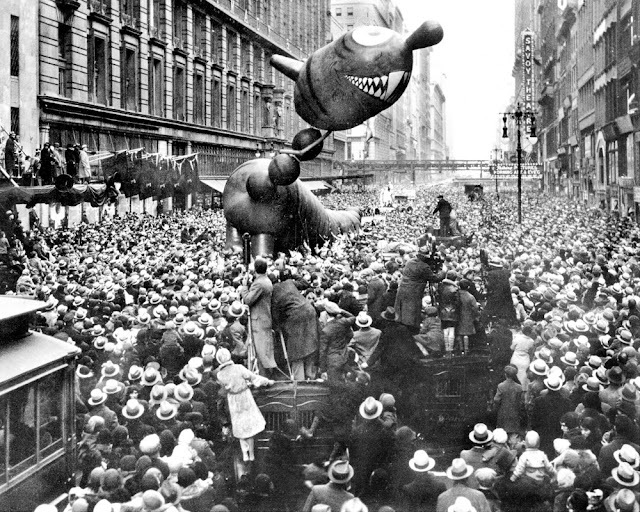 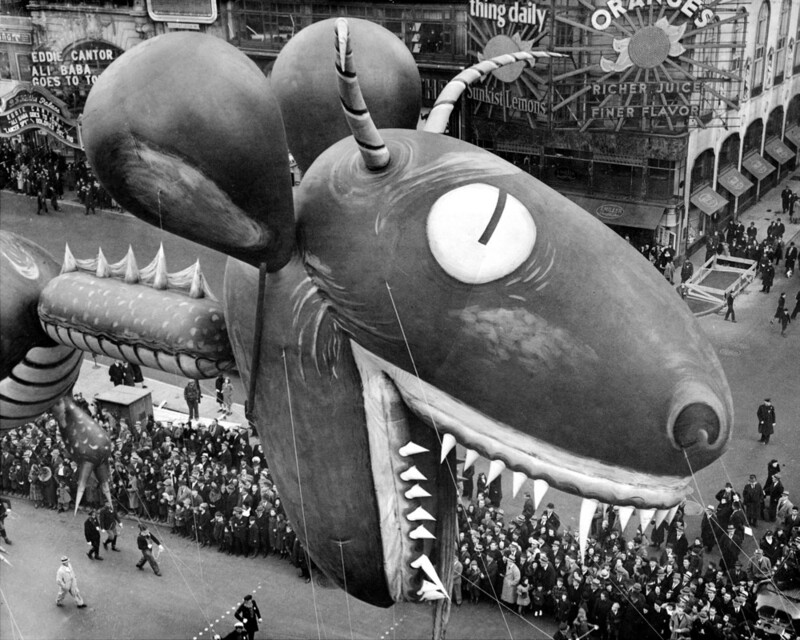 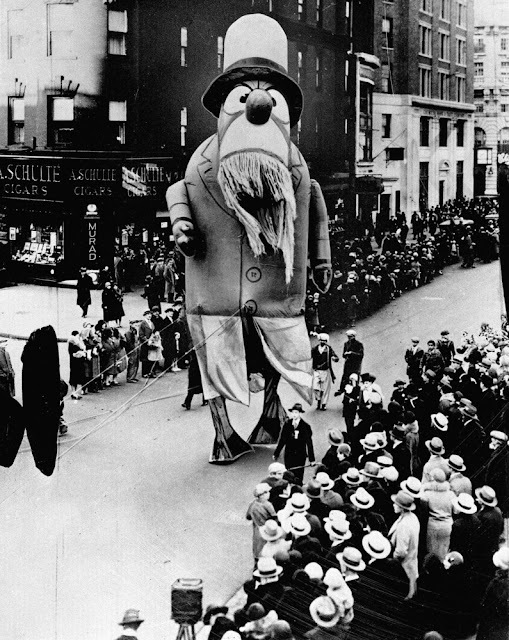 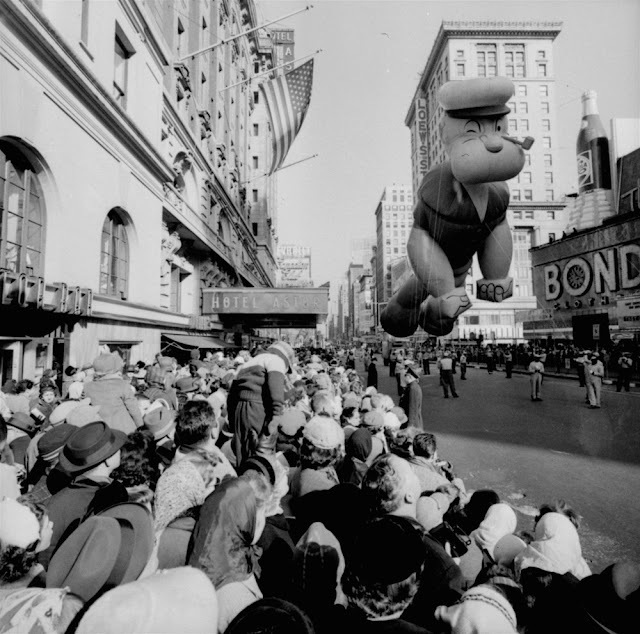 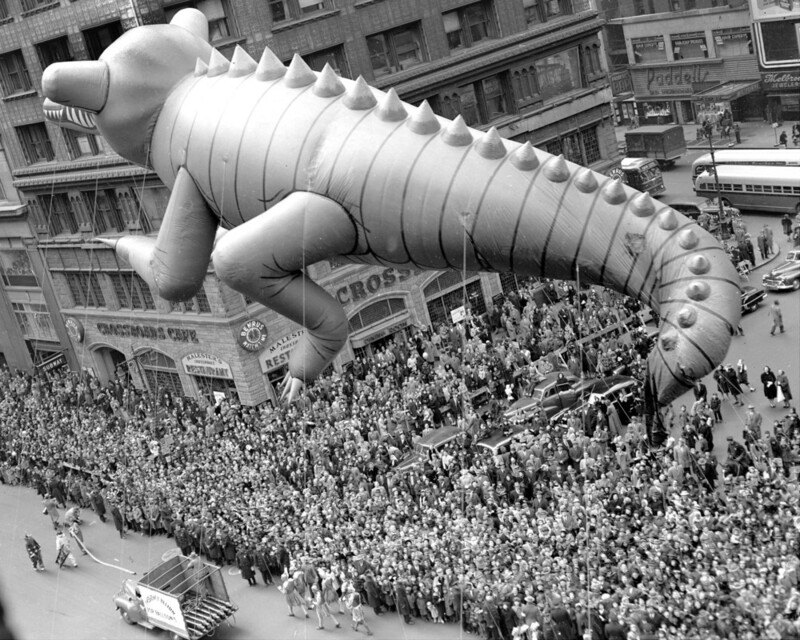 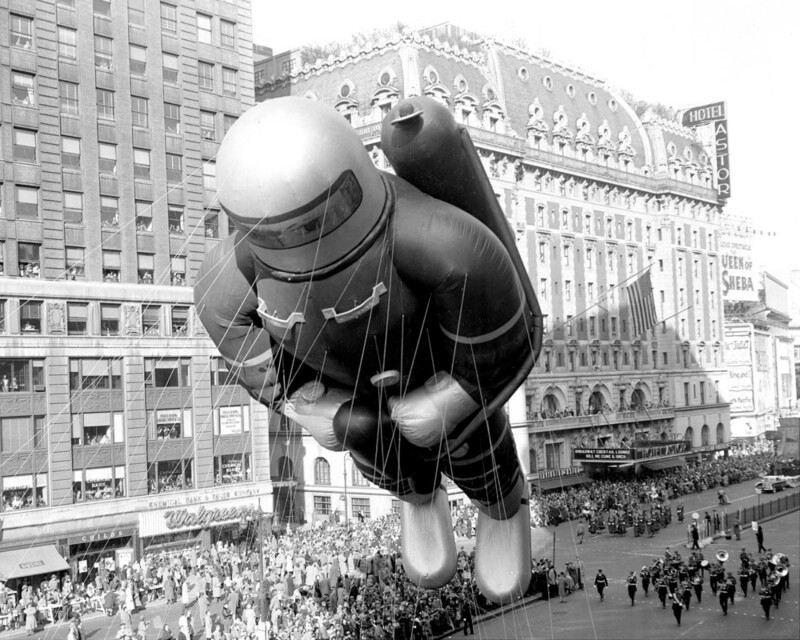 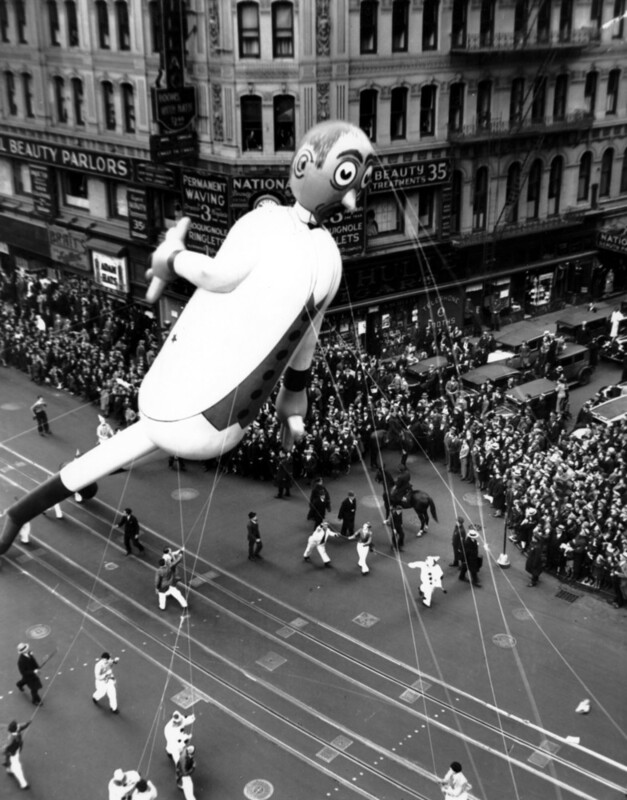 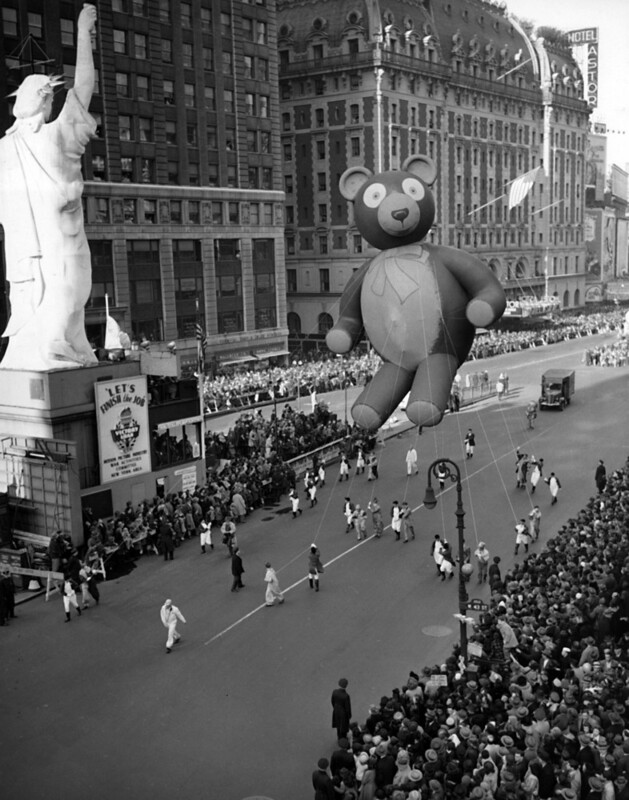 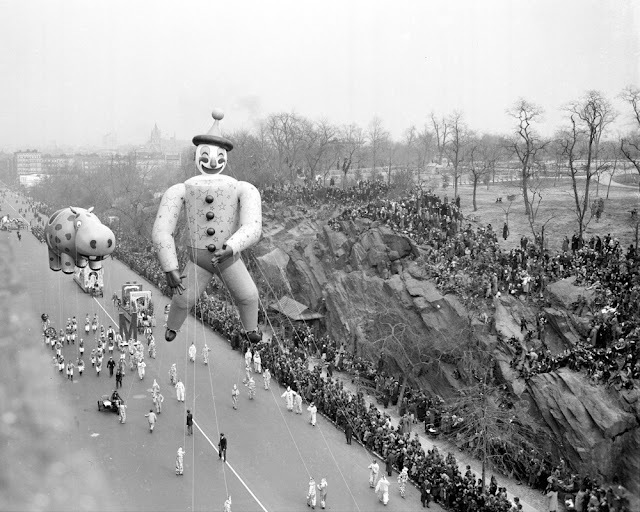 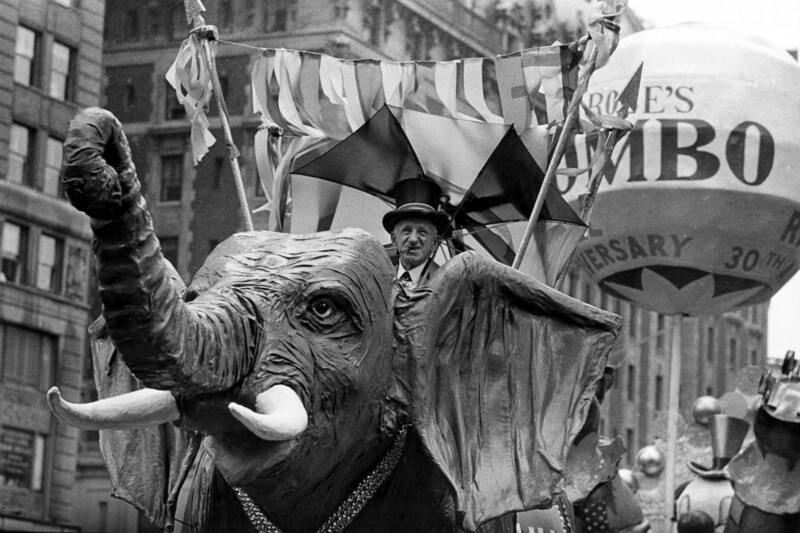 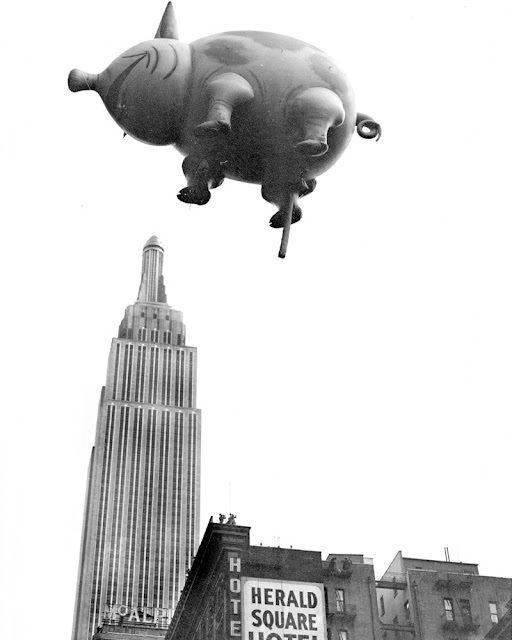 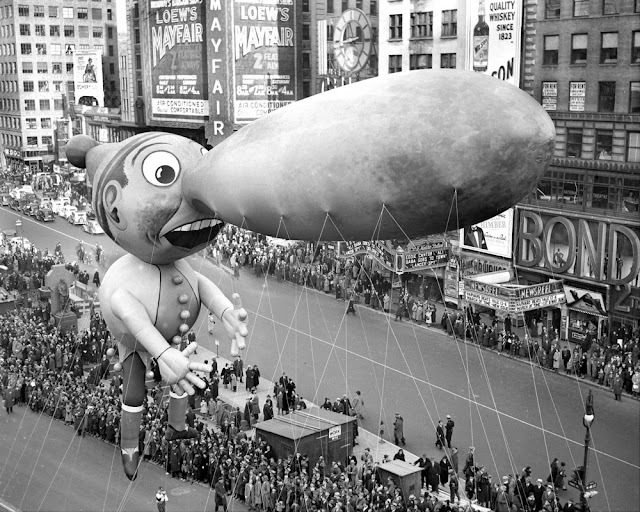 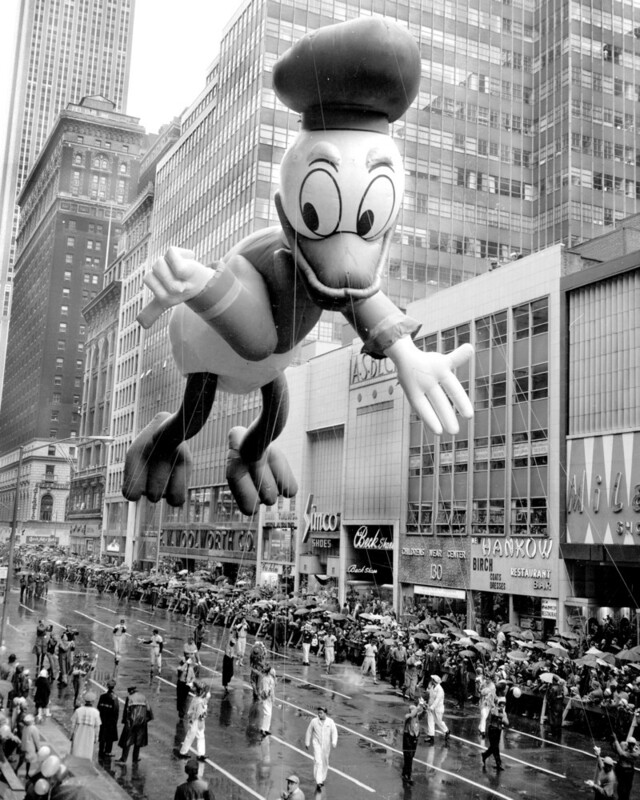 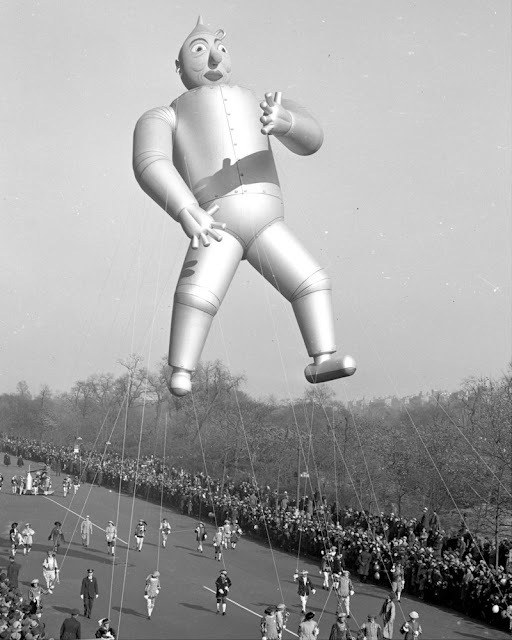 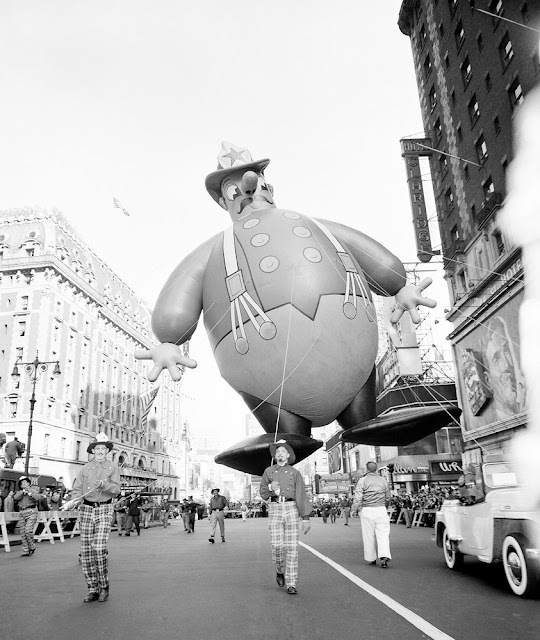 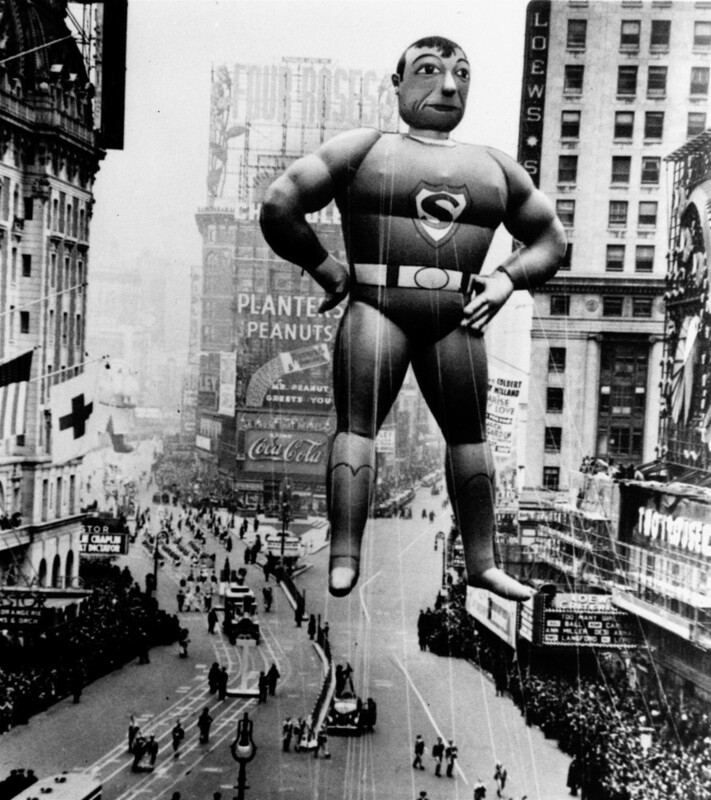 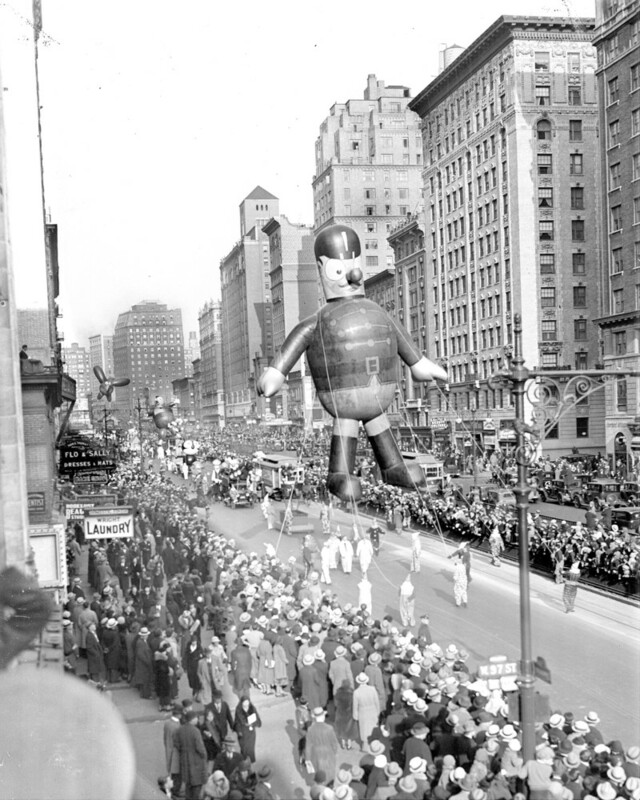 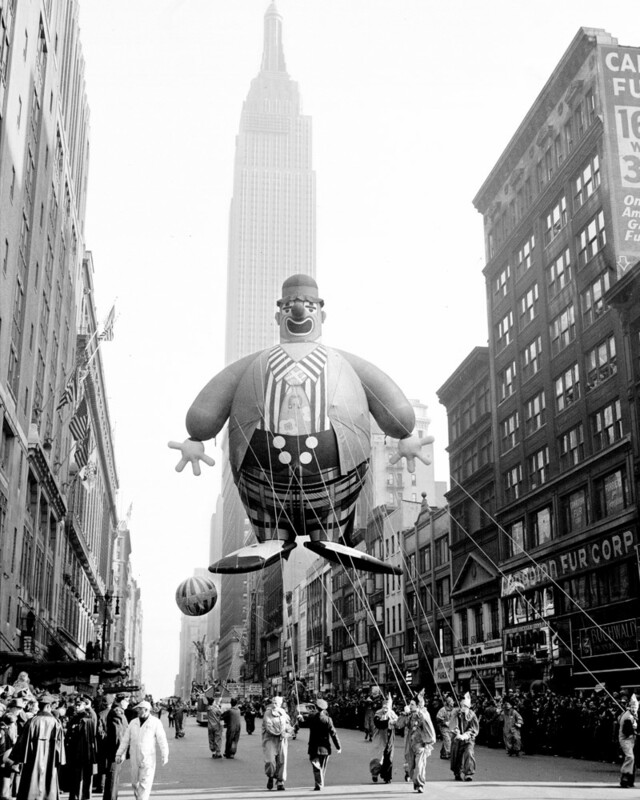 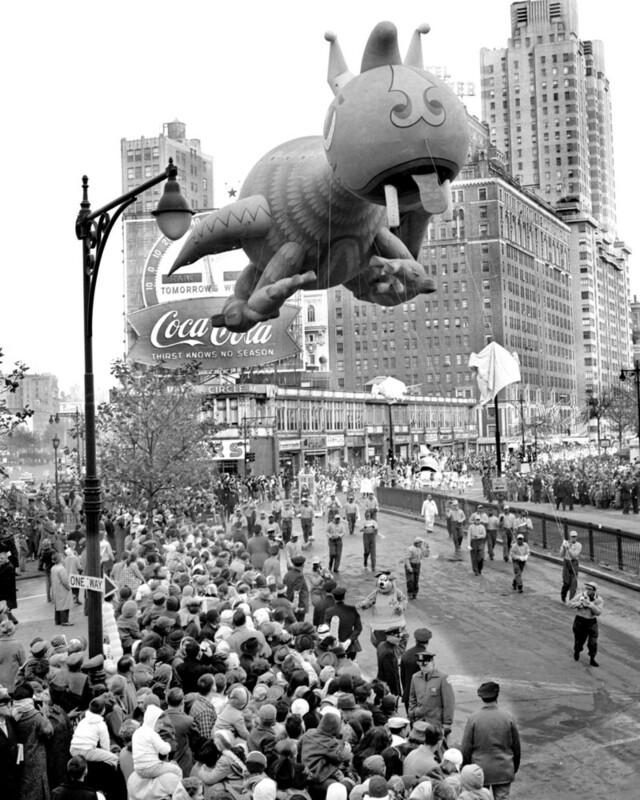 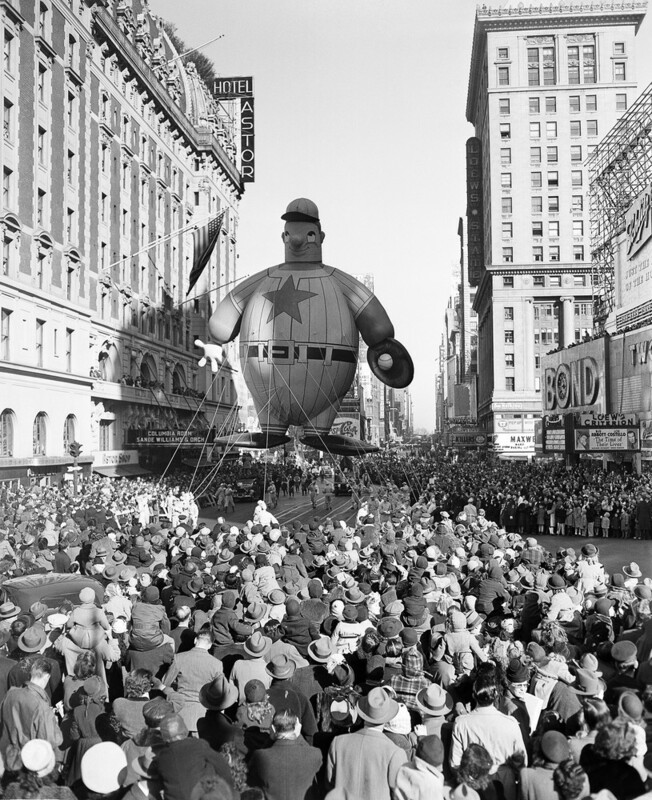 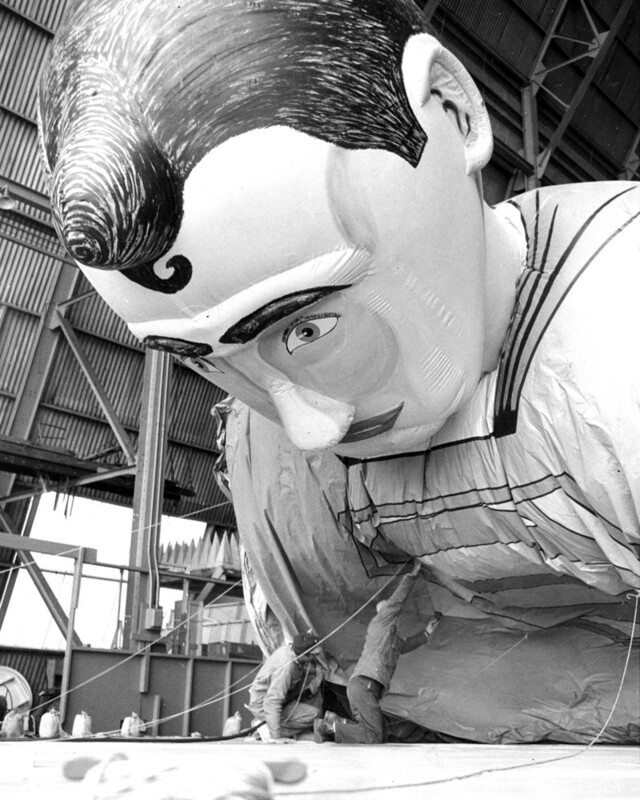 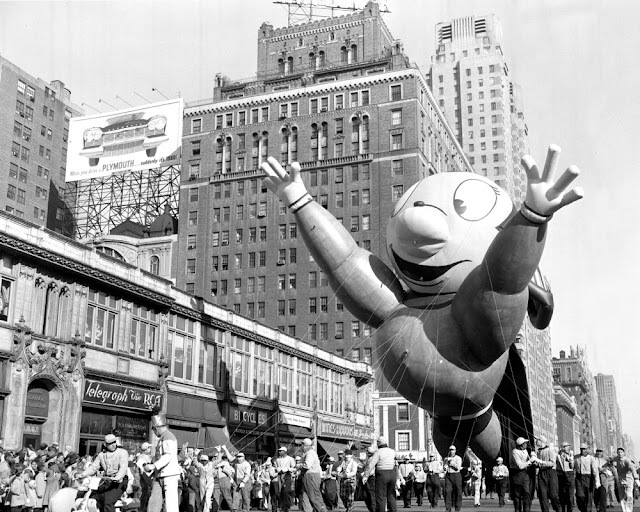 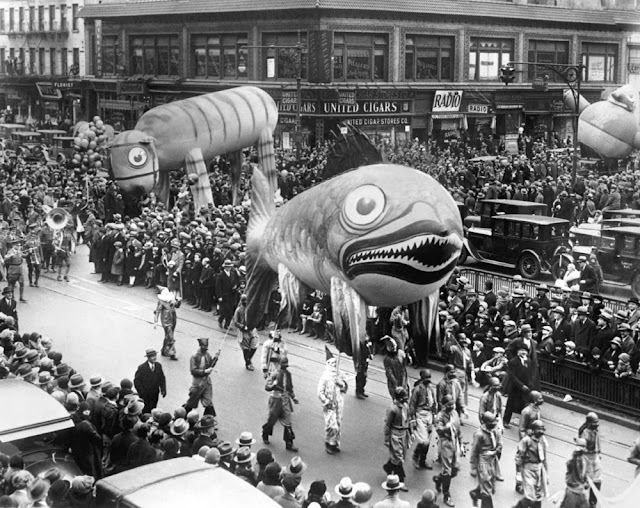 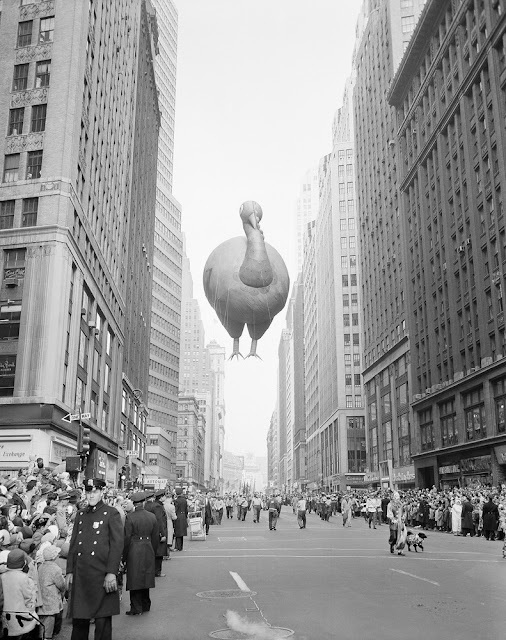 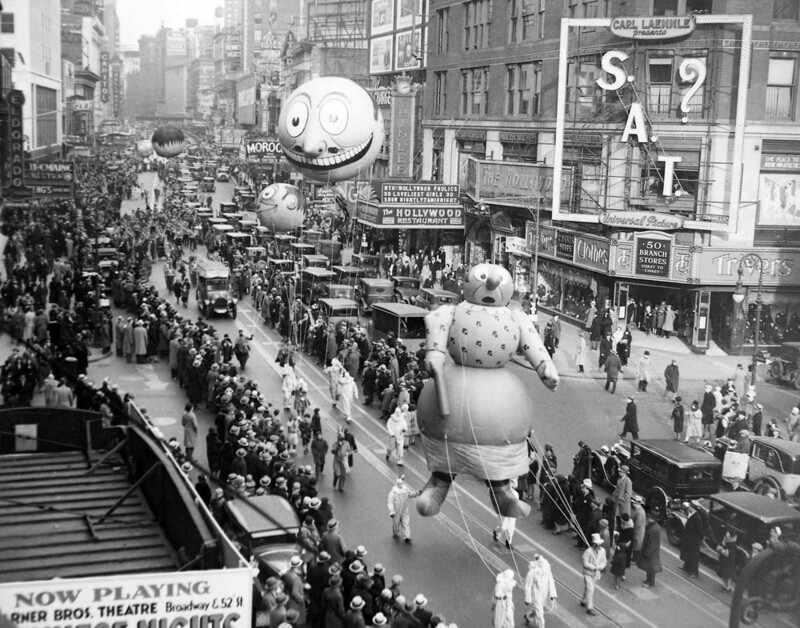 Renamed the Thanksgiving Parade in 1927, the spectacle has evolved over the decades into today's massive, televised event, featuring Broadway acts, movie stars, and gigantic, colorful balloons. 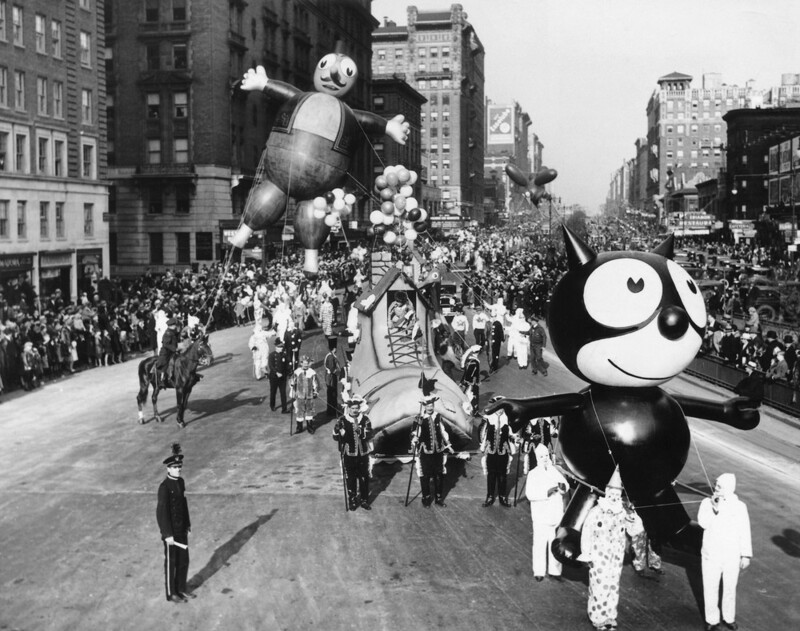 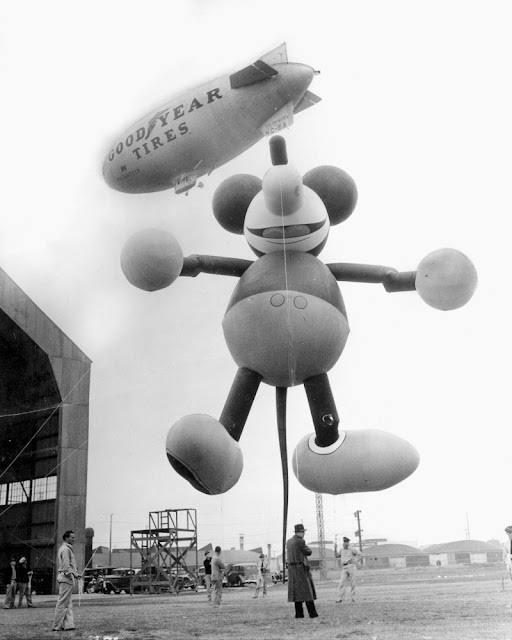 Beginning with Felix the Cat in 1927, those parade balloons have reflected the changing tastes and trends of the national zeitgeist. 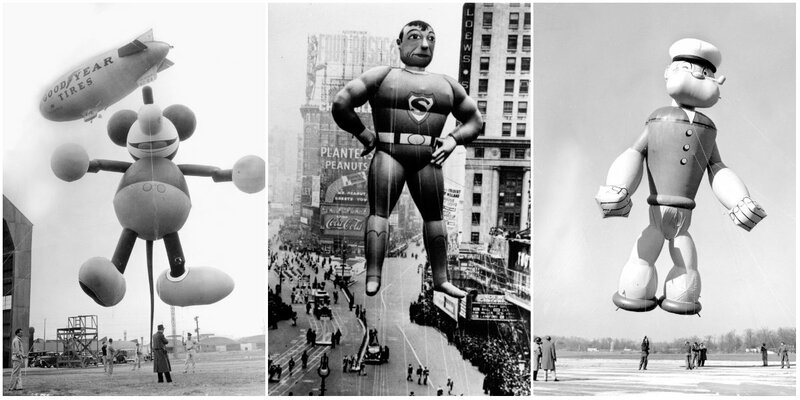 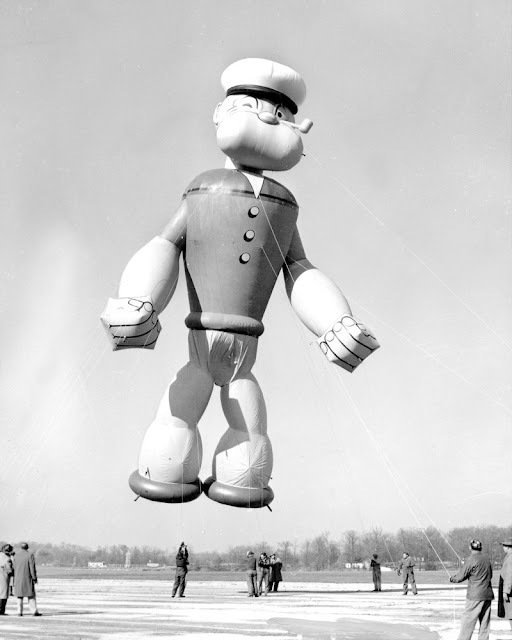 While characters such as Spider-Man and SpongeBob SquarePants are well known to parade-goers today, the balloons that came before were just as instantly recognizable to the throngs that lined the street in the early 20th century.